You've never seen a debut quite like this. Offering a style and size for every kitchen—including 30", 36", 48" and 60"—Thermador Pro Ranges lead the industry in personalization, standout design, and performance. From a flush, sleek design to a bold statement piece, Thermador has a Pro Range for your culinary expression. 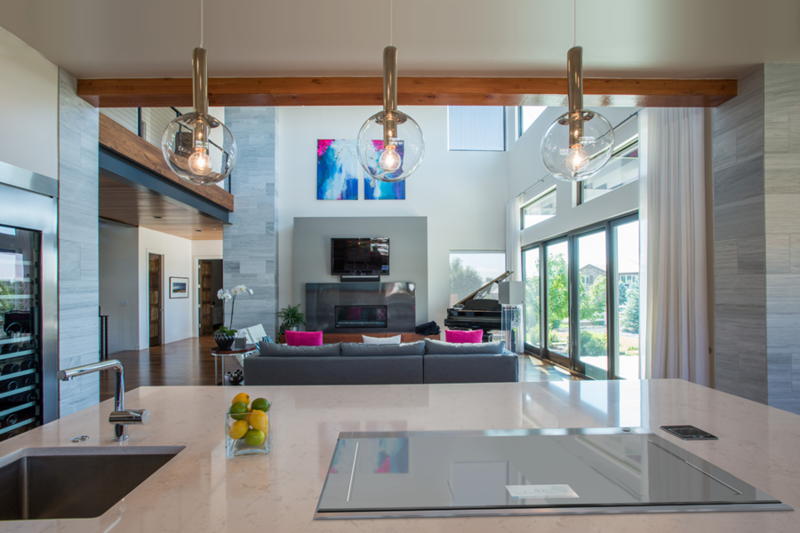 Both collections are enabled with the Thermador Connected Experience by Home Connect, select Masterpiece & Professional appliances allow for remote start, exclusive recipes and pairings, and instructions for all product features. Backed by more than 34,000 hours of rigorous testing, the entire Masterpiece® Collection has been updated with vibrant color displays, stunning metallic gray glass, and sleek, contemporary (Masterpiece) & Bold (Professional) handles crafted with high-quality stainless steel. 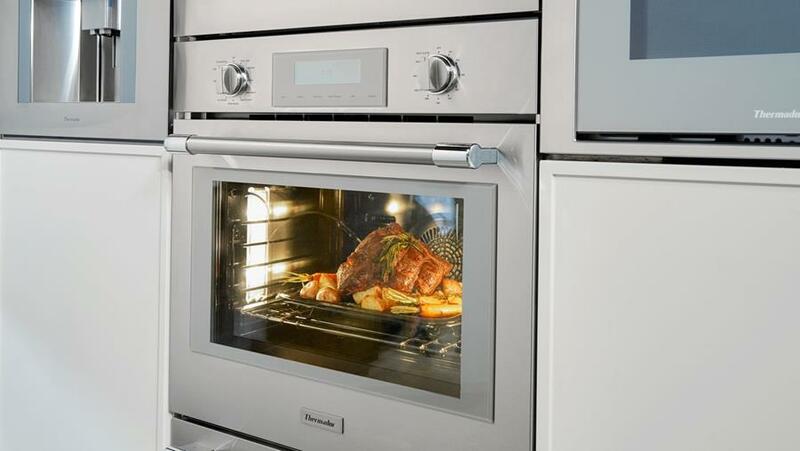 The ovens feature soft-close technology, gray glass that provides visibility while you cook, and the option for side-swinging doors. 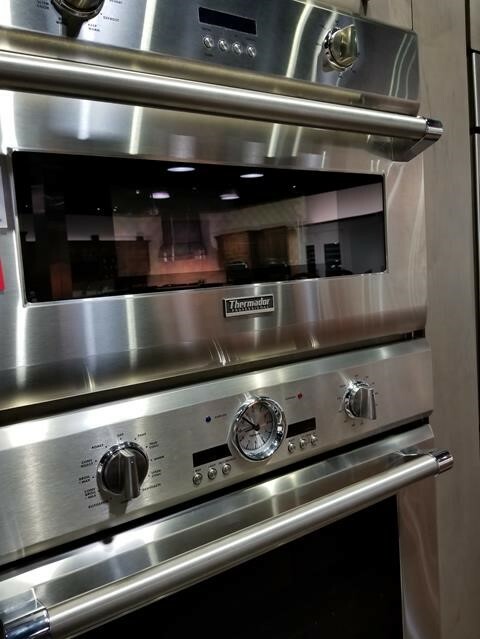 The Thermador Connected Experience offers an interactive cooking experience, including remote oven pre-heat, setting modifications, and recipe integration. The newly redesigned Freedom® Refrigeration Collection offers a variety of new features, including new sizes, customizable interiors, 3-zone wine columns, and Open Door Assist. 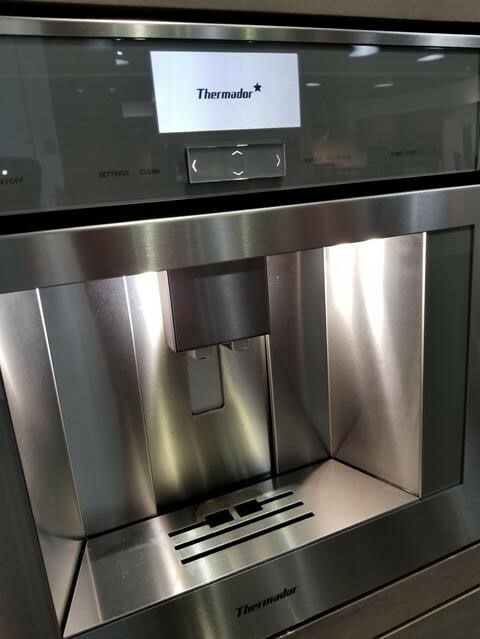 The Thermador Connected Experience, available on select modes, includes features such as notifications when the water filter needs to be changed. New Built-In Coffee Machines offer flexibility with plumbed and unplumbed options. 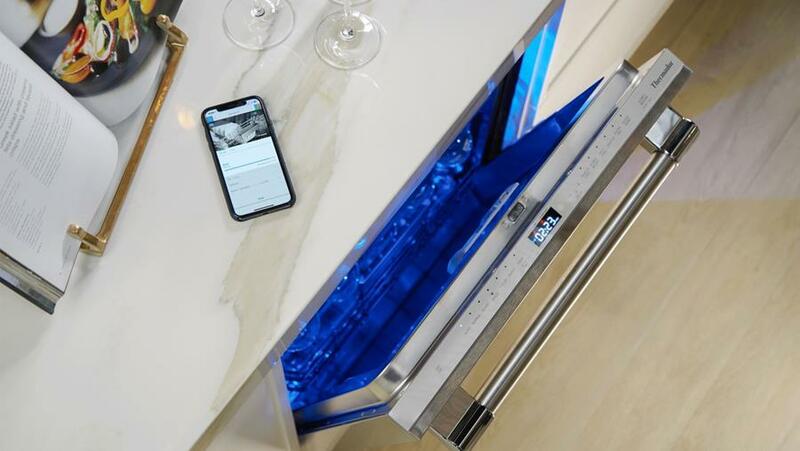 Enabled with the Thermador Connected Experience, it allows you to place orders remotely, offers more beverage selections for your guests, and can create consecutive custom orders. Thermador steam ovens offer the largest 30" capacity on the market, and feature multiple racks for even more culinary possibilities. The Thermador Connected Experience provides exclusive recipes and cooking tips, as well as easy-to-access usage information. The New Thermador Collection of dish care includes an all-new addition to the industry: the Glass Care Center, specifically designed to accommodate glassware. The new Star Sapphire dishwasher offers the ultimate drying solution: StarDry™ featuring zeolite. With zeolite, even sturdy plastics such as mixing bowls and containers with hard-to-reach crevices come out dry. Feed your culinary ambition and save up to $7,117 with the ultimate gift with purchase. Thermador kitchen appliance packages are designed to seamlessly blend into your lifestyle, whether you’re an avid host, an adventurous chef, or a builder or designer. Speak with Capital Distributing's experts to start building your luxury appliance package. No meal is complete without a cocktail. For a delicious seasonal sip, I opt for the Autumn Cocktail – a rich mix of bourbon and apple. With its sweet yet fiery flavor and warm caramel-colored hue, it’s the perfect note to end your evening on.